My passion is to help athletes from all different levels achieve their fitness goals. 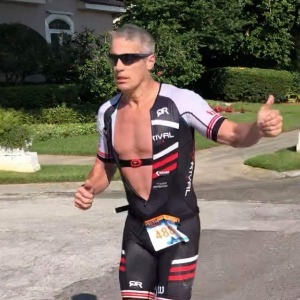 With over 20 years of experience as and athlete and coach, I have work with all types of athletes from true beginners to multiple Kona World Championship qualifiers. I have personally coached over 100 athletes to successfully complete in Ironman distance events. As an USAT certified coach and educator, I stay up-to-date with the newest and best methods pertaining to exercise science and nutrition. As an athlete and a coach with over 20 years experience in the sport, I have tried and tested numerous training methodologies at the same time as developing my own unique style. I believe that consistent work, rather than "just hard work" is what reaps the most dividends, and that having the right mental attitude is by far the most important, and it may be the most overlooked aspect of superior performance. As an athlete, I understand the need to challenge myself and to be challenged by other athletes during a competition. As a coach, I strive to continue to educate myself and to work alongside other top USAT coaches in the industry in order to gain and share knowledge to further develop as a coach and an athlete. I work with all different level athletes and backgrounds. Success. Coach Eric Kahl has been notified of your message.